Want to trick a dog? It’s all in the body language, a new study finds. When given a choice between a big serving of food and a small one, dogs almost always go for the bigger option. But when a person makes a fuss over the small amount, particularly by handling it, dogs can be tricked into picking the less-hearty portion. The study, published Wednesday (April 25) in the journal PLoS ONE, highlights dogs’ ability to follow human social cues, a tendency which has likely served them well over thousands of years of domestication. Researchers recruited 149 dog owners to bring their ordinary household pets into the psychology laboratory at the University of Milan, Italy. 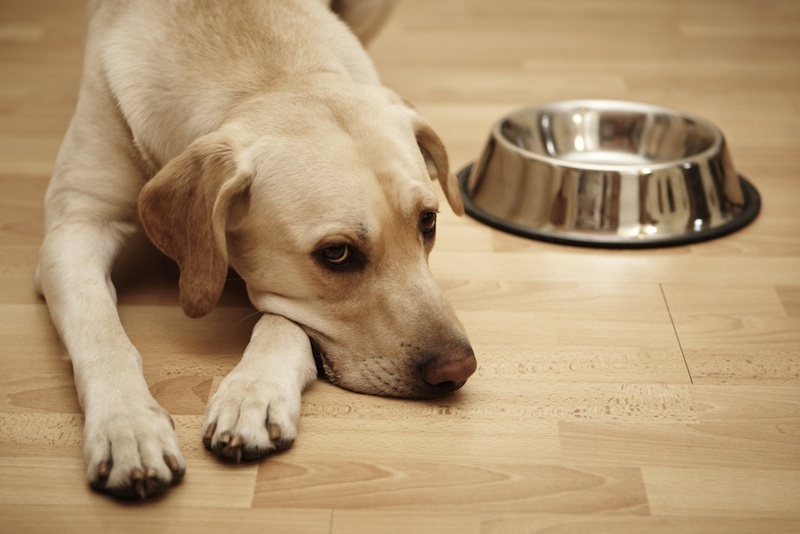 There, study leader Sarah Marshall-Pescini and her colleagues set up a series of experiments in which dogs had a choice between two plates, one with a single piece of food on it and one with six pieces. Other experiments had dogs choosing between equal-size portions. In some cases, the dogs were allowed to pick a dish freely. In others, a person came in before the dog was allowed to make a choice, interacting with the food in some way. Sometimes the person would approach and stare at one of the plates; sometimes he or she would hold the piece of food near their mouth; and sometimes he or she would talk to the dog during the interaction. The researchers mixed and matched these various conditions. For example, in some conditions the person merely looked at the dog and then at one of the plates. In others, the person might walk up to the food, pick up a piece and say, “Oh wow, this is good, this is so good!” while looking at the dog. Dogs in two experimental conditions were significantly more likely to make a dash for the small plate, the researchers reported. In one, the person approached the food, picked up a piece and held it to her mouth for five seconds before putting it down and retreating. In the second, the researcher did the same thing, except she also talked to the dog and looked at it as she held the food. When food was lifted and dropped with utensils from behind a curtain — so dogs couldn’t see that a person was involved — the dogs were no more likely to pick that plate, suggesting that the animals are cueing in to human actions. Dogs may see the handling of food as an explicit invitation to come chow down, the researchers wrote. Or it may be that seeing a person grasp a piece of food makes dogs want to do the same, much in the same way that babies imitate their parents’ expressions and gestures. Earlier research has suggested that dogs are at least as receptive to human communication as are pre-verbal babies. The study also highlights that imitation is not always the best strategy for learning, the researchers reported. “The current study adds to a small but growing literature showing that social learning is not necessarily always the best strategy and provides an experimental paradigm which may potentially be used to explore when an animal will rely on private vs. social information,” they wrote. The English novelist George Eliot said it best about pets when she wrote, “Animals are such agreeable friends. They ask no questions and pass no criticisms.” Perhaps that is why some pet owners feel closer to their animals than even other members of their family. It is no wonder, then, that people experience intense grief at the loss of a pet and that it can even rival the same levels as the death of a human friend or family member. Rest assured, that somber feeling following a loss is completely normal. What sometimes can make it harder to cope with the death of an animal in a pet and owner relationship is the impossibility of being able to talk about the situation if the pet is aging or ailing. — In human interaction, such a discussion may be able to alleviate some of the questions people face. Animals don’t understand the process of dying as much. With humans, conversations can create some closure for loved ones. But depending on the type of death the animal experiences, there may be no sense of resolution for a pet owner because there is no opportunity for communication. 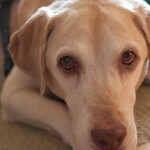 There are several ways that pet owners can help themselves, and others, move forward after a loss. 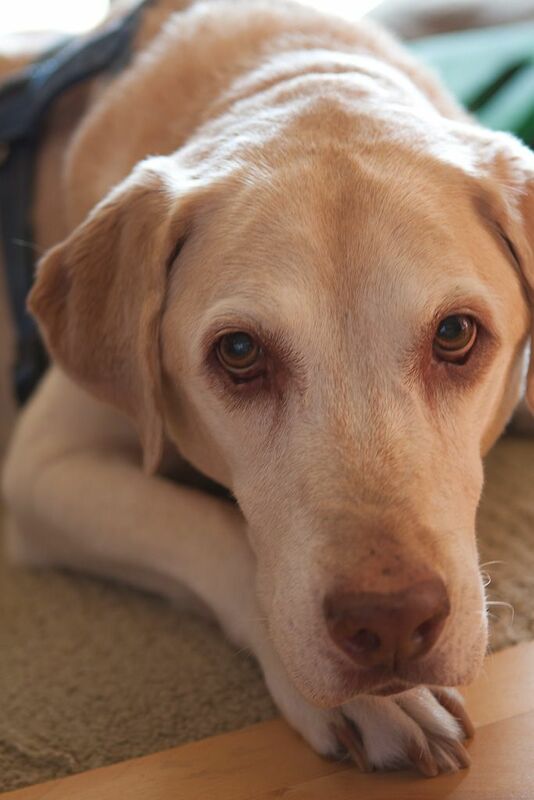 Here are 7 tips to cope with the loss of a pet. Sometimes pet owners are used to a schedule that was based on their animal’s needs. Waking up to walk the dog in the morning was not only a way to keep the pet healthy but it also helped boost the owner’s activity level. Be sure to stay active so physical health does not become a concern on top of emotional strain. A farewell ceremony doesn’t need to be as elaborate as a human funeral typically is, but having a dedicated time set aside to remember your pet and say goodbye can be very therapeutic and help move you closer to closure. Deciding how to dispose of your pet’s remains is a personal choice. Some people choose to bury their pet nearby where it can be visited on a regular basis. This might not an option for everyone so cremation and keeping or releasing the pet’s ashes might also help. Still others have gone to the extreme and decided to take the remains to a taxidermist to preserve the pet. Photos, scrapbooks, home videos, collages and other forms preserving memories can be a good way to remember the fondest times owners have shared with their pets. Whether it is a visual reminder or just a journal or even as simple as a poem, having something concrete that you can revisit time after time can help you remember your animal. What might be easy for one person to move beyond can seem like an insurmountable obstacle for another. Seniors, especially, may have had a long relationship with a pet that may have been more significant because they have already lost a lot of people in their lives. The loss of a pet can trigger a response in them to revisit some of the pain of the loss of human relationships as well. With a child, the best thing to do is to be honest with them as much as possible about the death of the pet. Assure them that this pet is no longer in any pain and although they’re gone, they will always be alive in their memories. Having a memorial service is even more important for kids than adults — even if it’s just for a pet like a fish or hamster — it’s just as important to acknowledge the significance of the animal’s life. For families with multiple pets in the household, the owners are not the only ones who suffer when an animal dies. The pets themselves have their own unique relationship in playing with each other or just serving as companions. Owners must take that in consideration to give the remaining pets a little more love and attention to help fill the void that was left without their animal friend. Depending on the circumstances surrounding the death of the pet, jumping in and trying to find a replacement as a distraction is not a good idea and can actually make the grieving process worse. If the death of a pet is sudden and unexpected, it is important for owners to take time and fully evaluate when might be a good time to find another pet. However, if the pet has been ailing or aging for some time, owners may have already begun the grieving process earlier, and can plan to find a new pet sooner than expected. If the grief becomes too much to handle alone, surrounding yourself with others experiencing similar feelings can be beneficial. Support groups are available in some location for those who need it. Pet owners will often feel the same five stages of grief associated with human loss including denial, anger, bargaining, depression and acceptance. Perhaps they feel guilty because they didn’t do enough to save them or second guessing themselves on deciding if euthanasia was the best option. Sometimes people will look at you and try to make you think you shouldn’t be experiencing as much pain as you are at the loss of a pet. But grief over the death of a pet really depends on where you are in your life. People have different reactions to grief and different expectations of death and dying. This naturally creates varied responses to death of human figures or pet figures. Rhondda Waddell is the Professor and Director of the Center for Values, Service and Leadership at Saint Leo University in Saint Leo, Florida. When brachycephalic breeds have difficulty breathing, cosmetic surgery is therapeutic, and owners should not worry about the change in the dog’s appearance, but instead focus on the improved health aspects of the procedure, writes veterinarian John De Jong. Born with long soft palates and pushed-in nares, brachycephalic breeds often suffer from respiratory problems; surgery to shorten the soft palate and increase the diameter of the nares can improve their quality of life. 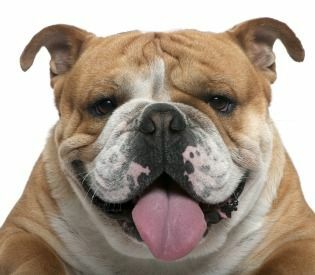 This is common with bulldogs and all short-faced breeds including pugs, boxers, Pekingese, Lhasa apsos and Shih Tzus. These brachycephalic (short-faced) dogs have been designed with these pushed-in faces and short muzzles. The two most common congenital defects are collapsed nostrils (stenotic nares) and elongated soft palates in which the roof of the mouth is too long and catches on the epiglottis. The second condition may also cause occasional gagging noises. Both conditions are surgically repairable. For the nose, a section of cartilage is removed. In the soft palate, a wedge of tissue is removed from the back of the mouth. While one is cosmetically visible, both relieve the dog of difficulty breathing and stop the snoring as well. In veterinary medicine we do perform some procedures that are cosmetic, but in this case your dog may be well-relieved by the ability to breathe more easily. Don’t worry about the way he looks but rather about how he breathes. If necessary, go ahead with the surgery. You can always seek a second opinion in person as well. John de Jong, D.V.M., is the owner/operator of Boston Mobile Veterinary Clinic and CEO/director at Boston Animal Hospital. Diamond Pet Foods is expanding a voluntary recall to include one production run and four production codes of Chicken Soup for the Pet Lover’s Soul Adult Light Formula dry dog food. One bag of the product has tested positive for Salmonella, and the recall of the four production codes is being conducted as a precautionary measure. No dog illnesses have been reported. Consumers who have purchased Chicken Soup for the Pet Lover’s Soul Adult Light Formula dry dog food with these specific production codes and best before dates should discard the product. Diamond Pet Foods apologizes for any potential issues this may have caused pet owners and their dogs. Pet owners, who are unsure if the product they purchased is included in the recall, or who would like replacement product or a refund, may contact Diamond Pet Foods at 800-442-0402, or by visiting www.chickensoupforthepetloverssoul.com/information. 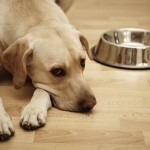 On April 8, 2012, Diamond Pet Foods temporarily suspended delivery of all products made at its Gaston, S.C., plant. The company took this precautionary step immediately upon discovering a quality issue when it voluntary recalled on April 6, 2012, a limited number of batches of its Diamond Naturals Lamb Meal & Rice dry dog food produced at the plant, which was the potential that the product might be contaminated with Salmonella. The above release was provided to me by Diamond. These days, the ubiquitous smartphone keeps us connected and can help us get the information that we need quickly. In my business, a smartphone is crucial tool in caring for animals, from being able to text, email or call clients to give daily updates, to verifying schedule changes and, most importantly, getting in touch immediately should an emergency happen. I’ve mused about how we can put our smartphones to work as an effective tool helping with a sometimes difficult task by capturing a pet’s behavioral changes, lameness or symptoms that you can’t quite explain or mysteriously disappear when you step foot into the veterinarian’s office. Handheld devices just became even more useful: A new app designed with your pet’s welfare in mind was released in late-March and could mean the difference between life and death for your animal companion. Apple has made Pet Poison Help available for download and does two things: it offers information on hundreds of searchable household products and plants that have the propensity to be toxic to your critter, as well as guiding you through steps to take if your dog or cat is exposed to something that can harm them with direct dialing to the Pet Poison Helpline. The helpline is staffed by board-certified veterinary internal medicine and emergency critical care specialists and veterinary toxicologists. The app, which costs .99 cents to download and is compatible with iPhone, iPod touch and iPad, is no substitute for a trip to your vet’s office or an emergency vet should something happen, but it can help get the ball rolling. The professionals staffing the helpline have special training to assist you and your own vet or emergency vet hospital (by dialoging directly with them) if your pet is critically ill from a potential poisoning. Click here to download Pet Poison Help. Lorrie Shaw leads the pets section for AnnArbor.com. As the number of Americans who are overweight has grown, studies show that the same statistics apply to our companion animals. About half of all dogs and cats in American homes are overweight or obese, up slightly from 2010, according to a recent study by the Association for Pet Obesity Prevention. And although owners may think their pudgy dog or cat is cute, all that extra weight spells trouble the some 85 million U.S. pets who are considered overweight. And many pet owners are finding that the extra pounds on a pudgy cat or dog can lead to severe secondary health problems. Just as diabetes, joint problems, and heart disease are more common in people who are obese, these diseases also are more common in overweight animals. The average cost of veterinary care for a diabetic dog or cat in 2011 was more than $900, according one pet insurance company. Treatment for arthritis and cruciate ligament tears in dogs, which can be caused by the strain of an overweight frame that weakens joints, cost pet owners an average of $2,000. 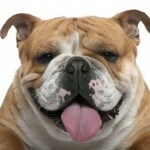 Last week, an interesting article the cost of pet obesity was published in the Wellness section of the New York Times. To read the complete article, entitled “Paying the Price of a Fat Pet,” click this link. Gracie, our 8-year old, spayed female DSH has just been diagnosed with hyperthyroidism, based on the finding of a high serum T4 value (12.4 μg/dl; reference range, 1-4.7 μg/dl). We only did her blood work in anticipation of a dental cleaning, and are shocked by this news. Gracie has no symptoms whatsoever of this disorder. She eats and drinks a normal amount; her diet has been mostly high quality, grain-free dry food (she never liked or ate canned until very recently, also grain-free). She has shown slight weight loss, but only because she was overweight and we were controlling her intake — trying to get her to loose weight. Her behavior and attitude are positive; no change from before. Her coat, skin, and eyes all fine. Hydration is fine. Digestion and bowels fine (no vomiting, no diarrhea). Just some bad breath (hence the dental). 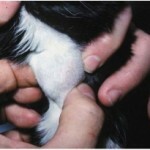 Our vet feels nothing upon palpation of her thyroid. If anything, she may have a slightly high heart rate (212 beats per minute taken at vet’s…possibly nerves), but her blood pressure was fine (averaged 128/77 out of 5 readings). We had the T4 test run a second time at a different lab and it came back high again at 11.2 μg/dl. My question to you is this….in your years of experience with hyperthyroidism, has there ever been an occasion when the T4 values have receded on their own, without medication or irradiation? I ask this because Gracie is so young and has no symptoms. I would not want to irradiate her thyroid if there is any possibility of this being a “passing phase” in her life. However, I am quite aware of the dangers and complications of hyperthyroidism, and do not want to play around with her health. With everything else so “normal,” I would be willing to wait a month or two and recheck her if you think there’s any hope in doing so. Are you aware of any current research indicating that T4 numbers can fluctuate in a young cat? More than any other factor, it is her young age that makes me question whether these T4 readings are permanent. No, I’ve never seen a hyperthyroid cat go into remission. 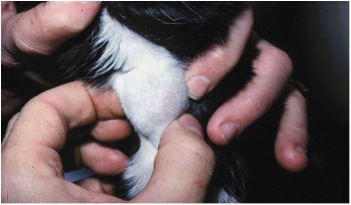 Cats with hyperthyroidism all have one or more benign thyroid nodules, generally benign tumors or adenomas (see Figure below). These thyroid tumors will not go away spontaneously once they have formed (1-4). The only way to cure this disease is by use of radioiodine (I-131) to irradiate the adenomatous thyroid nodule(s), or by use of surgery to remove the abnormal thyroid gland (1-6). It’s sounds like you think that a cat of 8-year’s of age is too young to develop hyperthyroidism. But we do occasionally see cats as young as 6 years of age, and very rarely, even as young as a year or two (1-4,7).That all said, I’m bothered that your veterinarian is not able to palpate an enlarged thyroid tumor with a T4 value that is clearly quite high. You might want to have another veterinarian palpate Gracie’s neck to see if they can identify one or more thyroid nodules. If they cannot and the serum T4 remains high, it would be very useful to do thyroid scintigraphy (ie, a thyroid scan) to document the presence or absence of a thyroid tumor. Thyroid scintigraphy is the most sensitive diagnostic test we have to confirm the presence of hyperthyroidism in cats (8-10), and we use this procedure routinely in my practice. You certainly could monitor the T4 value again in a month or two, especially since Gracie is stable. But it certainly does sound like she has hyperthyroidism and will need to be treated at some time in the near future.